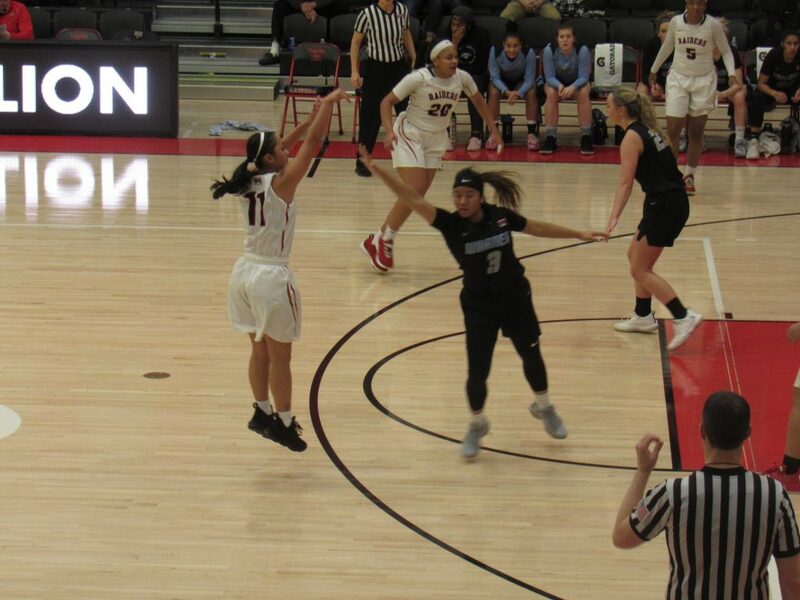 Southern Oregon University (SOU) Womens basketball team started their game on Saturday strong, hitting three consecutive three-pointers to start the game against Warner Pacific. This eventually led to an 85 – 71 SOU victory. The Raiders went on to score seven three pointers in the first quarter. 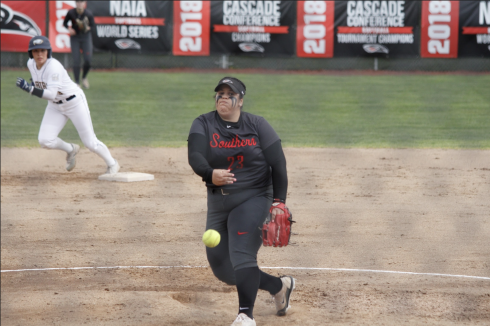 Warner Pacific struggled to find their way through SOU’s press defense, which caused them to cough the ball up multiple times in the first half. SOU held Warner Pacific to 36% shooting from the field while their first half field goal percentage was just over 51%. Syd Fryer and Ariel Augustine came through offensively for the Raiders dropping 17 and 16 points on Warner Pacific. They both were feeling it from outside the arc, as the majority of their made shots were from downtown. Daranda Hinkey’s court vision was unmatched by anyone as she went on to drop 9 assists along with 14 points. Warner Pacific made a final push in the second half to contest the Raiders, but the Raiders’ defense caused them to still be inconsistent and shaky for the final half of the game. While SOU consistently scored points coming off of turnovers. The three big things that led to this victory was their ability to force turnovers on defense, execute offensively, and capitalize on free throw opportunities. The Women will play this weekend away at Corban University in Salem, Ore. on Friday, and again on Saturday in Eugene, Ore. against Northwest Christian– both games to start at 5:30 p.m.
Their next home games will be on Feb. 15 and 16 against College of Idaho and Eastern Oregon, respectively.